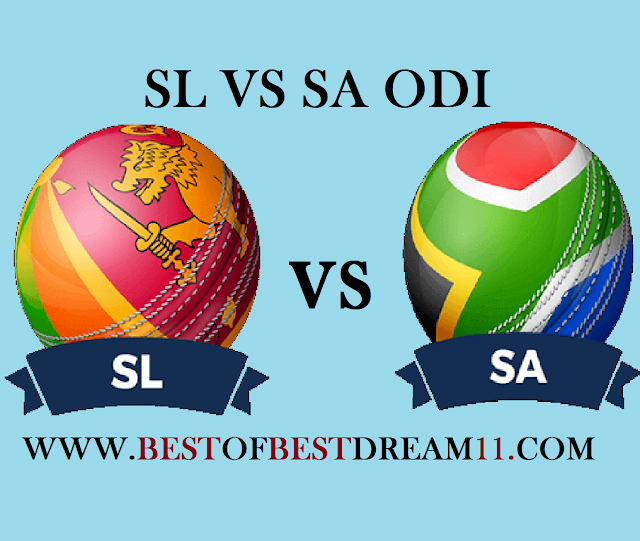 Here is best "SRILANKA VS SOUTH AFRICA " Third odi match,DREAM11 Predictions for the Fantasy user,who venue are looking to make a strong team for maximum win. We are providing latest news, match update, information about the match .The team is picked by using various factors on the basis of performance, ground stats and latest form. 1- for Srilanka, N Dickwella (69runs) and Angela Mathews (79*) played a good inning in the last match. 2-in bowling,Akila Dhananjaya bowled superbly and took 3 wickets in the last match. 3- for South Africa,Q De KOck(87),H Amma (43),captain Dad du Plesis (49) and Jo Duminy(32) played a responsible inning. 4-in bowling, L Ngidi(3wicket) and A Danannaya(3wkt) bowl superbly in the last match.